A team of German plant researchers have reported on a whole-genome draft sequence of the cereal rye. It has been called a breakthrough for comparative genomics in cereals and genome-based breeding for crop improvement. The rye whole-genome sequence closes a gap in Triticeae genome research and represents a genome resource of high value for comparative genomics, functional studies and genome-based breeding for sustainable crop production. Cereal rye is closely related to bread wheat and barley and is one of the parents of the man-made cereal Triticale. Due to its superior winter hardiness, rye is especially used in Central and Eastern Europe for food, feed and bioenergy. Rye has the largest and a highly repetitive genome, this means it has a double chromosome set. “For a long time comprehensive whole-genome sequence information of rye has been missing, whereas draft genome sequences of its sister species barley and wheat became available recently”, explains Eva Bauer, scientist at the Chair of Plant Breeding of the Technical University of Munich and main author. Rye is an important model to elucidate the genetic and functional basis of traits that are also relevant for the genetic improvement of wheat and barley. It excels by an exceptional frost tolerance and outyields wheat and barley on poor and medium soils and under drought stress conditions. 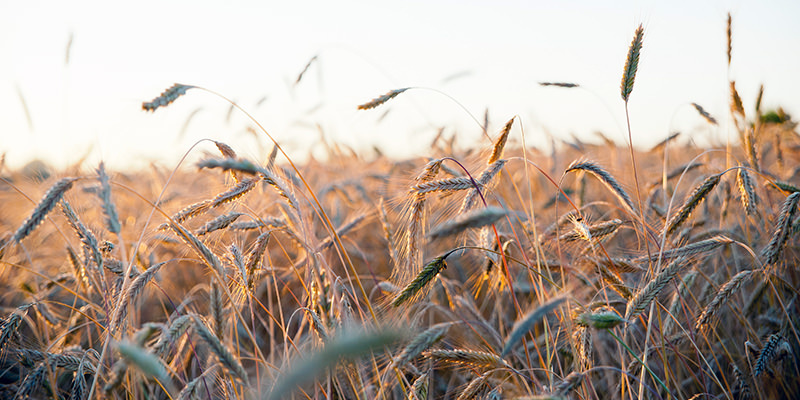 Rye translocations are present in many wheat varieties grown worldwide, and contribute to abiotic and biotic stress tolerance. Thus, the availability of rye whole-genome sequences will facilitate the elucidation of genes and molecular mechanisms underlying important agronomic traits that are useful for the improvement of related Triticeae species.